So here's something paradoxical I've noticed with Jack White: for as much as his presence and influence seems to loom over so much modern rock music, I don't think about him that much these days. You'd think I would, given his work with The White Stripes or The Raconteurs or even solo, but for as much as I really liked Blunderbuss, there was a certain distance I still have towards Lazaretto even despite liking it a fair bit. And this is coming from someone who has seen White live in concert and who generally likes his southern gothic, jagged, almost hermetic approach to his sound, spiraling down into twisted rabbit holes that might stumble towards blues rock lyrical cliches but nearly always had the tunes to back it up. But here's the thing: not counting that overstuffed release of b-sides two years ago, this is the first proper Jack White record in four years, and I was genuinely curious how it would stick out in comparison to so many artists trying to chase some brand of his sound... or hell, even outright surpass it in the vein of artists like Ron Gallo or Kyle Craft. And I'll admit a certain amount of concern about this one: I won't deny that it was likely a natural step for White to step away from conventional blues rock in favour of a more diverse or eclectic sound, but he's never been a great lyricist and if he was refocusing there at the expense of good riffs, with even reportedly a rap-inspired song on this project... yeah, I had room to worry. But what the hell: how was Boarding House Reach? Oh boy, this was not really what I was expecting - hell, even going off the lead-off singles I don't think anybody was expecting Jack White to make this sort of left turn, throwing out a great deal of the garage rock riffing and analog grit for keyboards, swamped out basslines, and pickups that seemed too clean by half. Much has been made by certain members of the music press that this was the record that Jack White embraced ProTools instead of his traditional record methodology, but I'd argue it's closer to a mishmash - and for the first six or seven listens, it was one I couldn't stand. Seriously, the more listens I gave it the less I thought I liked it... until I started to get the feeling that Boarding House Reach wasn't exactly intended to be taken completely seriously. And once I understood that... I still didn't quite like it all that much. It's decent for sure and it has its moments, but not only can I predict this to be one of Jack White's most polarizing records, but also one that'll be the least liked by longtime fans - which is kind of a shame because there is a part of me that hears him maybe actually having some fun this time around. And here's the thing: I'd argue that for the first time, the key to really getting this record comes in the songwriting and lyrics - yes, I'm referring to those absurd, seemingly out-of-nowhere spoken word digressions that seem to utterly kill this record's haphazard sense of momentum, but stay with me on this. Note that despite the pompous language of 'Abulia and Akrasia' the two words of the title reflect a lack of proper motivation and seemingly acting against one's best interest, which seem to show at least some acknowledgement that White going against his well-trod sound might be a bad idea. But those are constructed notions, and if White is looking to do anything with this self-referential record, it is to burn those system-reinforced notions to the ground. Sometimes it's more abstract, like the questions of domestication around 'Why Walk A Dog' that can clearly parallel a constrained artist, sometimes it gets more blatant like the massively sarcastic 'Corporation', and sometimes it's so thuddingly obvious like the sole concession to his traditional brand of rock like 'Over And Over And Over', a leftover song from his Raconteur days that is now recontextualized to the Sisyphean hell of repeating the same artistic path over and over again. And this also provides an inroad to how White writes about women on this record like on 'Respect Commander' - or rather one solitary woman who he sketches a direct parallel with God and his muse as early as the pseudo-rap flows of 'Ice Station Zebra', excusing his genre-bending and mold-breaking as being driven from the same creative source as any other. And from there the next few spoken word passages make all the more sense, from the system degeneration on both parts of 'Everything You've Ever Learned' to the unsettled, uncharted territories of the introduction to 'Get In The Mine Shaft' to 'Ezmerelda Steals The Show'... okay, that's just your expected screed against technology you'd expect from White, but it fits the sort of tired exasperation that has him planning to shoot himself in the head on 'What's Done Is Done', where backing vocalist and country artist Esther Rose ends the track on the note that if Jack offs himself, she'll still remain.... although it gets intriguing that he then chooses to tack on 'Humoresque', a relatively conventional piano and acoustic love song that's genuinely pretty... and was written by the legendary gangster Al Capone, a composition White bought at auction and reinforcing his theme of how said muse's message can indeed pass to anyone. But for as much as I admire the loose candor and refreshing, self-effacing bluntness to which Jack White brings to the writing thematically, it's hard to shake the feeling that the jokes and candor we get aren't all that funny, and this is where we have to talk about execution. White has always had a certain overwritten style of prose that reminds me less of the great singer-songwriters or even someone like Nick Cave - to which some of this writing feels oddly reminiscent, specifically to his early-to-mid 2000s years - but rather someone trying way too hard to sound oblique or portentous or literary. And this isn't helped by his vocal delivery, which has a jittery intensity that sadly doesn't lend itself well to this sort of content, especially when he decides to rap - I'm not denying the manic writing can feel well-constructed, but it lacks the organic ease or any desire to pull the audience in on the joke, which is one of the big reasons this record can feel as alienating as it is without greater context. And at some points you're waiting for a punchline that just never comes, like on 'Hypermisophoniac', a gimmick of a song comprised of annoying fragments sampled from children's toys that White claims was his attempt to create beauty but just falls painfully short, not helped by a lyrical cadence more reminiscent of Rob Cantor's song 'Actual Cannibal Shia LeBoeuf'! Of course, the larger problem with that comes in the production - and look, while I was exceedingly skeptical of Jack White deciding to pivot into synth-infused funk rock from his foundation of grinding, garage-inspired blues, in theory with the right production or edge this could have worked... but it's the execution that blows up in White's face, and yes, the biggest issues here come in production. For one, this is a record that chooses to place most of its melody lines in the synths and keyboards and organ in comparison with the guitar, but places more emphasis overall on groove - which, fine, not my preferred choice as it compromises the melodic hooks that have been White's hallmark, but with less traditional song structures it could connect - but it seems like there was little-to-no significant effort in blending these tones effectively. Percussion and grooves typically carry the most texture, then the vocal line if White uses a more lo-fi pickup, but the rest is all over the place, something good tape-to-tape mixing would organically blend well but with the usage of ProTools and sampling leaves chunks isolated or clashing within the mix. Sometimes it's not bad - typically if the guitar and Hammond organ can develop sizzle and ride the bass groove like on the solo of 'Connected By Love' or 'Respect Commander', but that assumes the leaden guitar pickups build into any defined melody that can match the groove, or that the oily, gurgling synth will blend with anything at all. And none of this is helped by backing vocals that often feel way too clean, with the most glaring examples being 'Over And Over And Over' and 'What's Done Is Done', and when the latter is matched with the synth warble it sounds like it was inspired by what Justin Timberlake tried on Man Of The Woods! Or take 'Get In The Mine Shaft' - yeah, the futuristic synth-funk touches aren't bad, but it all feels way too clean and put me in the mind of an artist like Neon Indian who could pull this off much more effectively. And that's the other thing: for as much as White is pushing this as a stylistic revolution... well, it might be for him, but the 70s were littered with rock acts who made a push for groove and synth-driven sounds, some even nowadays, and the mixing often felt a lot better. Of course, there's also the very real possibility that White left in those glaring, misshapen edges intentionally, to spur on that alienated reaction as he jumps around, and I won't deny that along the way he's an interesting enough musician to pull some fascinating fragments and occasionally some solid, textured synth-funk-blues rock combinations. But if this was Jack White's self-described 'I don't care' record, I have a hard time recommending it to anyone who doesn't have the patience for this brand of pretentious, half-ironic immolation of his entrenched sound, especially when it comes at the expense of solid individual cuts. 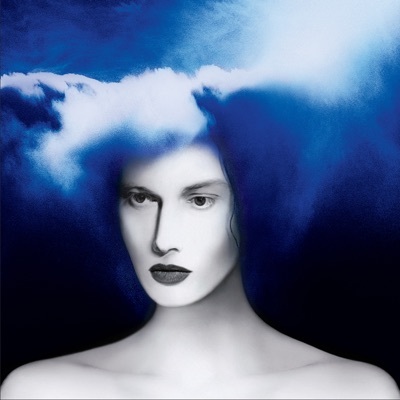 Now for me there was enough to save it in terms of groove and good ideas, netting this an extremely light 6/10, but man alive it is not for everyone and may prove to be Jack White's most challenging listen to date. Check it out if you're curious, but if you walk away unsatisfied... hell, I think even Jack White could have warned you with this one.